The capsized stems are tyopical of wilt or thorn beetle damage. 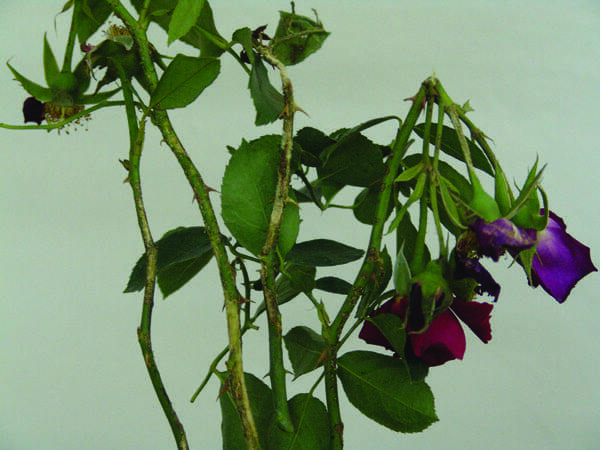 The Wilt or Thorn beetle is able to cause considerable damage to the soft shoots of a rose bush. 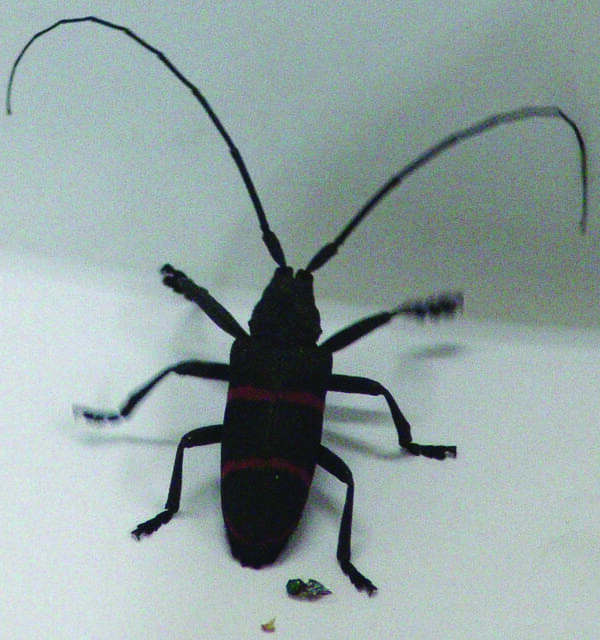 Fortunately they are a very uncommon pest in gardens and it it not often that one finds them a problem. Most Insecticides get rid of them.